This week, to keep with the spirit of raising awareness, I have asked other individuals who have been affected by hypotonia to share their experiences. 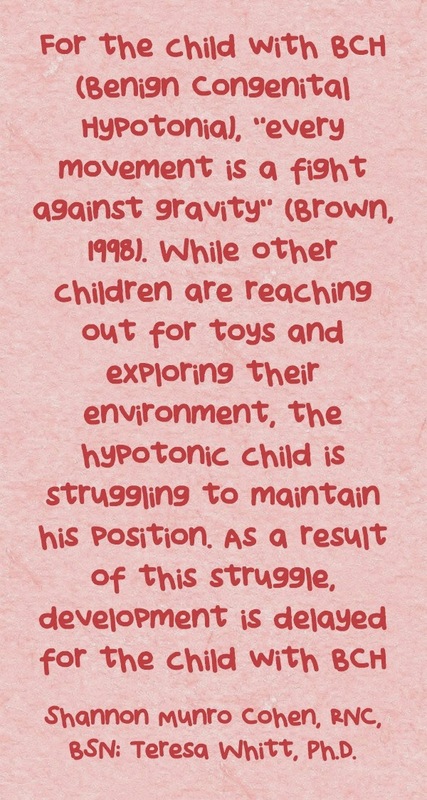 While the hypotonia ties us together, each of our stories are unique and inspiring. I hope you will join us this week. Read, comment and share, as each of these amazing individuals share their hypotonia journeys and stories of hope.